News outlets yesterday in Israel reported that nearly 500 rockets and missiles had been fired by terrorists toward homes in southern Israel. That staggering number includes 70 missile attacks overnight, after Monday’s record breaking 300 rocket attacks from Gaza in a single day. 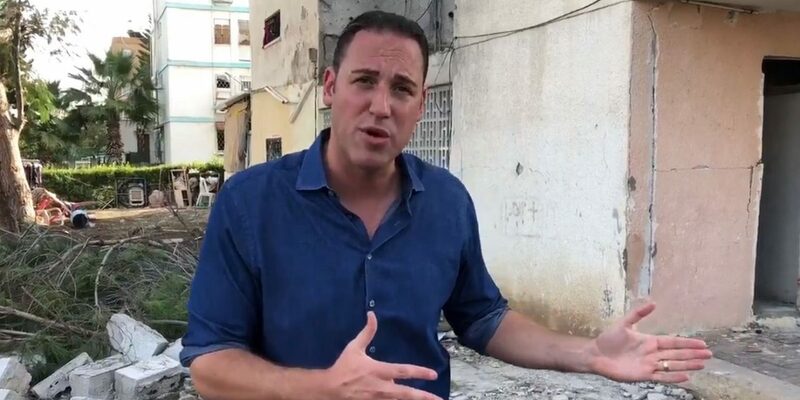 CUFI’s Erick Stakelbeck has provided a number of on-the-ground reports from locations targeted by the terror, including one family’s home struck by a Hamas rocket, killing one man and injuring three women. While Pastor John Hagee and CUFI staff were in Israel Monday leading a tour of 600 Christians from America and around the world, an unprecedented barrage of rocket fire from Gaza triggered wave after wave of Israel’s Red Alert emergency sirens. Families in Southern Israel, to include Ashkelon, Beersheba, Kiryat Gat and Sederot where the attacks centred, grabbed their children and ran into bomb shelters. A large portion of Southern Israel spent the entire day huddled in crowded bunkers as sirens and explosions rocked the air outside. Terrorists in Gaza intentionally targeted residential areas in an attempt to murder innocent civilians in their homes, schools, and workplaces. Several homes were hit and the damage to private property has been extensive. When an apartment building in Ashkelon was hit close to midnight, one person was killed and eight others were injured. Two of the women reportedly are being treated for life-threatening injuries. Our prayers are with all of the victims and their families. More than 50 people in Israel have received treatment from emergency services for wounds or trauma caused by the rocket attacks. Vehicles were also destroyed including cars and an Israeli bus (pictured above). Over 50 soldiers had been on board the bus moments before being hit by the rocket. Thankfully, there were no passengers when hit, however one person was seriously injured. In response to this intolerable wave of terror, the IDF retaliated by striking more than 150 terrorist targets inside Gaza. One of these was a Hamas TV studio used to incite terror against Israel. However, our news is unlikely to tell you the studio received advanced notice by Israel that it will be targeted, resulting in no casualties. As rockets continue to fall on Israel’s civilian population, the IDF is preparing for a much larger conflict should Hamas fail to enforce a cease-fire and restore quiet to the region. Israel has moved ground forces, tanks, and other military vehicles into position along the border with Gaza, and the IDF cancelled school today for cities in the border region. Israeli citizens within range of the rocket fire have been warned to stay inside or close to bomb shelters for the second day since the attacks began. CUFI’s Erick Stakelbeck visited Ashkelon following Monday's rocket attacks by Hamas and spoke with Lt. Col. Jonathan Conricus of the Israel Defense Forces. CUFI unequivocally condemns this murderous assault on the citizens of Israel, and we pray for a swift end to the violence. We pray that war will be averted and peace restored to the people of Israel, and we call on the people of Gaza to reject the leadership of Hamas whose single-minded obsession with destroying Israel endangers and brings unnecessary suffering to millions of innocent Palestinians living in the Gaza Strip. Please join us in emailing your MP urging the Government to condemn the violent actions by Hamas and defend Israel’s right to defend itself.